Your fireplace operates by introducing the right combination of fuel, air and heat. After the fireplace is running, the next concern is efficiency. More specifically, how completely is the fuel burned and how much heat does the fireplace produce. This is broadly known as efficiency. From a mathematical standpoint, efficiency is calculated by dividing heat output by heat input. Efficiency is affected by temperature, turbulence, and time. These factors also impact heat transfer efficiency. Every substance has a minimum combustion efficiency needed for a fire to start and continue. High temperatures are essential to ensure all the fuel is burned up leaving nothing harmful in the area. Turbulence is obtained when the fuel molecules collide with the oxygen molecules. Your fireplace gas valve and flu adjusted appropriately ensures that this mixture is optimized for your safety. Finally, time refers to the amount of time needed for the fuel gases to remain in the high temperature combustion zone. This is known as residence time in the industry. As complete efficiency is approached, the only byproducts of the combustion should be water vapor, carbon dioxide, and non-combustible ash. Although complete combustion is always desired, often times a fireplace is not adjusted to achieve this goal. Combustion efficiency is only half of the equation. The other half is the fireplace’s efficiency to transfer heat to the rest of the room. this is referred to as transfer efficiency. It is possible to have one and not the other. 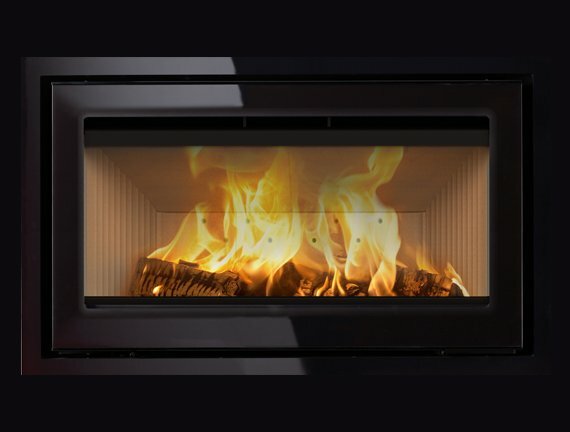 Heat transfer efficiency is mainly a concern for free standing stoves as gas fireplaces are mainly considered for recreational and aesthetic purposes. That said, this isn’t necessary always the case with the new fireplaces or older ones equipped with the right fireplace blower. A good blower creates convection, which helps transfer the heat away from the appliance. A fireplace will not work correctly if the venting is too short, too long, or has too many curves. As a result, sizing and placement of the venting system must be carefully planned at the time of installation.